What will be the statement of Sri Lanka with respect to and in response to the UNHCR resolution on Sri Lanka and to the report of the Office of UN High Commissioner for Human Rights, are currently being drafted with consideration to all stake holder input submissions. The five-member delegation to the ongoing UN Human Rights Council’s 40th regular session, will present the country’s statement to the Council tomorrow. The delegation is comprised of Foreign Affairs Minister Tilak Marapana, Dr.Sarath Amunugama, Northern Province Governor Suren Raghavan, Foreign Secretary Ravinatha Aryasinha and Deputy Solicitor General A.Nerin Pulle. The head of delegation, Minister Marapana will present Sri Lanka’s official statement and the government’s stance on a wide range of concerns to the Council at the Palais des Nations tomorrow and the day after (March 20 and 21). 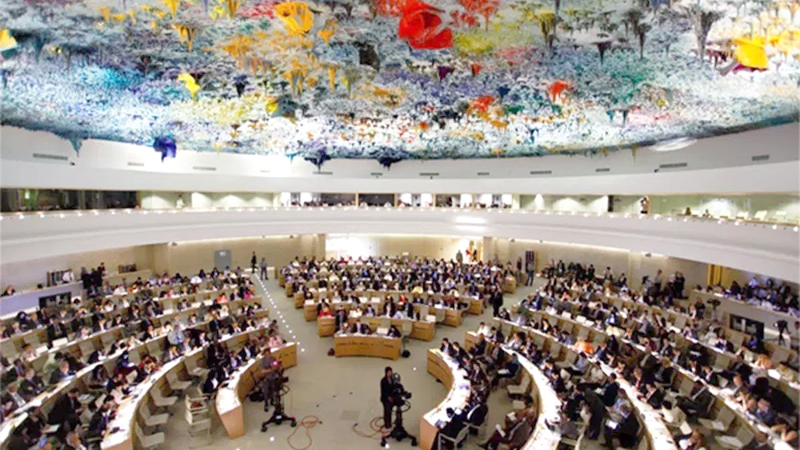 Foreign Affairs Ministry sources affirmed that there will be no change in the position of Sri Lanka being the Co-sponsor of the UNHRC resolution. “It will be a rollover of the resolution for another two years, in which Sri Lanka will have to fulfill its commitment to the resolution as its co-sponsor,” sources close to Foreign Affairs Minister said. “In other words Sri Lanka will be asked to present a written update to the Human Rights Council at its forty-third session, and a comprehensive report. The implementation of Council Resolution 30/1 will be important,” sources said. Meanwhile Opposition Leader Mahinda Rajapaksa has opposed co-sponsoring the resolution saying that it is against the country.